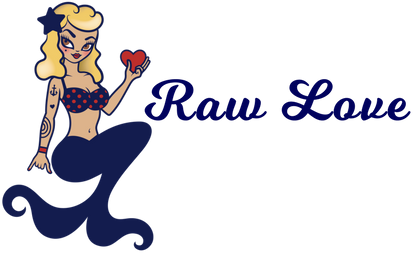 Jenna Davis created Raw Love reef-safe sunscreen on the beautiful island of Maui in 2015. As an avid PADI dive master and SNUBA instructor, Jenna is constantly on the water and in the sun. She wanted to protect her skin and tattoos but did not want to put any chemicals on her that stung her eyes nor also have the potential to hurt the reef and her body. Combining her past studies in marine biology and months of research and trials, Jenna developed an eco-friendly, reef friendly, biodegradable, moisturizing mineral sunscreen. You will feel protected and your skin will feel loved when using this reef-friendly sunscreen. Check out our sunscreen ingredients—safe for the entire family. Raw Love is made for people just like Jenna who love to dive, surf, swim, paddle, hike and adventure in the sun with friends in tow. Sun protection is something we all use on a regular basis and we started to question what the long-term repercussions of spreading these chemical cocktails onto our skin would be. In an attempt to avoid ever having to answer that question, we designed a non-toxic sunscreen with high quality ingredients that is safe for everyday use. Raw Love is just starting on an exciting journey into educating and promoting healthy living. We are excited for you to join us in this journey! Protect and love yourself, protect and love your environment! Spread the LOVE! !